Ukko Saunas can custom built your traditional Finnish sauna from start to finish using high quality clear grade Canadian Western Red Cedar panels or logs. 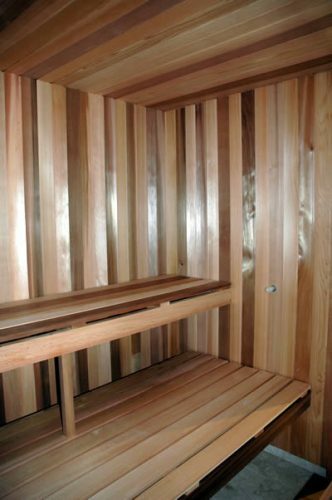 We will design your sauna to exactly suite your requirements and specifications. 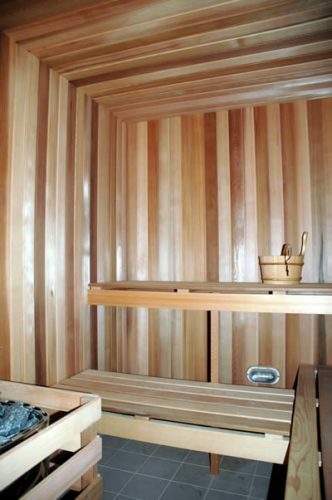 Our highly experienced craftsmen will come to your location and built the sauna on site. We build commercial and private saunas from the smallest rooms with mini sauna heaters and up to the largest rooms to fit 10 plus people with 15kW floor mounted heaters and controls. Simply send us your drawing or plan and dimensions of the room and we will help you to find the best interior layout. We will calculate the cost of all the materials and equipment to fit your sauna on site.